Reading can be a richly rewarding activity that broadens your horizons and introduces you to brave new worlds. It doesn't have to be a completely solitary experience, though. 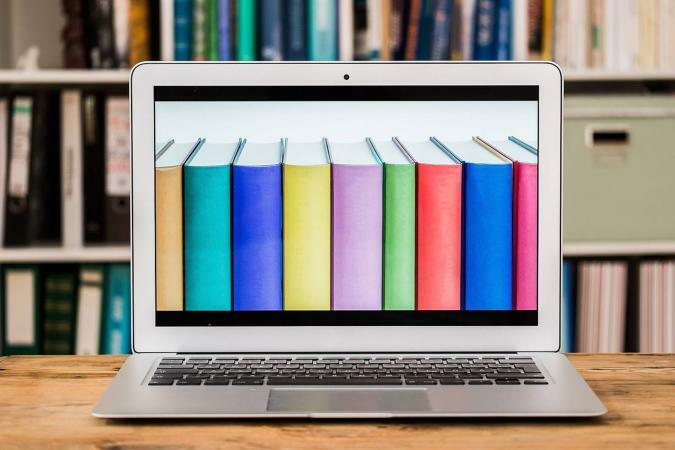 If the idea of an in-person book club doesn't appeal to you, you can still connect with other readers by forming a book club that meets online. Before you actually start the process of creating the online book club itself, it is important to ask yourself several questions. What is the goal or objective? Does the book club serve as a marketing tool for your business or is it more about meeting like-minded people to discuss the books you're reading? Who is going to make the decisions? Will one person be designated as the key moderator or leader? Will this position cycle through all the members? Will decisions be made democratically? How big do you want the book club to get? Do you want to have a small intimate group with only close friends or do you want to grow a large online community with hundreds or even thousands of members? Do you want set meeting times where everyone hops online to chat simultaneously? Or do you prefer asynchronous conversation, so people can participate when it best fits their schedule? Facebook, Goodreads, and Google Hangouts are accessible options for hosting your online book club. A big advantage to using Facebook is that most people already have an account on the popular social network. Anyone can launch a Facebook group, which is a great way to use the platform to discuss topics of similar interest with a set group of individuals. The group can be set up to require approval prior to joining, which is what you'd want to do for a book club. Such a group can take on a more open format, but in the context of a book club, one person (or a few people) should be assigned to guide the conversations, approve new members, and to lead the process of determining what books to discuss next. Once per month, you might decide to post a poll to the Facebook group to let members vote on what book to read next. Then, you can set up designated comment threads each week focused on specific areas of interest for the selected book. If you're looking for a platform that is specifically geared toward readers, Goodreads is one of the biggest and best known. The platform is owned by Amazon, so the level of integration between the two sites is significant. Members will need to sign up for a free account on the site, but they can connect it to their Amazon, Google, Twitter or Facebook accounts for ease of signing in. Like Facebook, anyone can create a group on Goodreads too. When you do so, you'll need to choose a group name, provide a description, outline group rules, select topics and subtopics, decide the level of moderation, and more. Each group can have its own 'shelf' for books. If you want to grow the fastest, setting your group to public means anyone can join, view the group information, and browse the discussion board. If you would prefer a similar kind of intimate interaction as what you would get with a book club that meets in person, Google Hangouts can be a useful solution. Most people already have a Google account, so it's simply a matter of getting everyone to be available at the same time, just like an in-person book club. In addition to group chat, Google Hangouts also makes it easy to participate in a group video call. Regular users can have group video calls with up to 10 people, while Apps customers (business, government, or education accounts) can have up to 25 users chatting at the same time. The same tactics that are used to promote a business on social media can be adapted to help grow your online book club. Additionally, you can get the word out by posting on the public bulletin board at your local public library or engaging in existing discussion forums online where there are people who may be interested in joining. Connect over your mutual love for literature and enjoy the online company!